A very dear friend of mine is suffering from infertility. She is very, very happy to have had a child three years ago with the use of in-vitro fertilization. When he daughter started becoming an older toddler, K and her husband began to talk about adding another child to their family. They had frozen embryos left over from their first IVF and had every reason to believe they'd be successful. After two attempts, they were out of embryos and did not get pregnant. K was left with the choice of doing another fresh round of IVF (at great financial strain)or having only one biological child. I very much want to be able to help her achieve her dream and for her daughter to be able to have a sibling. So I'm starting to collect items for the raffle. I'm a spinner as well as a knitter, so I'm not sure if other people will be interested in spinning fiber or not. If anyone out there reads this, post a comment! You can enter the raffle with a $5 donation (see the paypal button below). You can enter as many times as you like. if you also just feel like helping someone out, but don't need the yarn, you can just donate. I'll keep collecting donations for the raffle right up until I do the drawing (by random number generator based on the order in which your donation is received). Drawing will be held June 30th. There may be more yarn and fiber to come! Well, c'mon! Who else was I going to name it after? You only have to click it once, and then you can donate any amount. Thanks for entering! I'm in! and wishing your friend well! That's so awesome! I'd love to donate something, let me see what I have -- and I'll be buying LOTS of tickets!! See what I give up for you, K?? LOL! 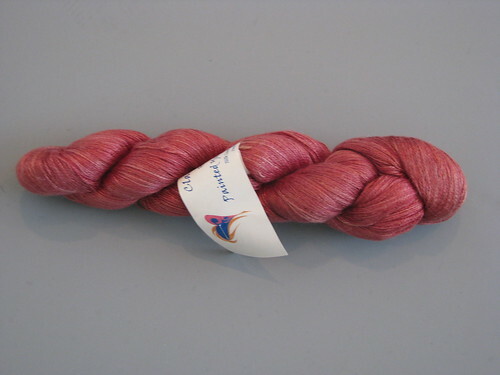 I'll just to rely on my excellent yarn-winning luck to get my hands on that Wollmeise! Thank you for doing this Korin, Lousli. I met Korin in an online circle for women struggling to conceive and learned so much. I followed in her footsteps and got lucky too. I've been reading her blog ever since and hope to meet her IRL some day. May we all have the families we dream of.